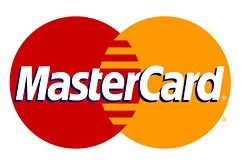 MASTERCARD VIRTUAL - a virtual prepaid card designed exclusively for purchases on the Internet. The card is a complete analog of an ordinary plastic MASTERCARD, but only in electronic form. Cards have excellent maneuverability on a huge number of sites, both Russian and foreign, working with people from Russia and host MASTERCARD card payment system (RUR, USD, EUR). Be careful! Some online stores when binding or activation of the account is charged $ 1- $ 2 commission! - Expiry date cards (Date Valid) - month and year. - Withdrawal of the card - no. - Prepaid card - this means that it is possible to make a purchase only within the nominal card "leave" in the negative is impossible. - The card is not physically produced in the form of a plastic card. - Card is completely anonymous and is not attached to any address. If Internet store requires you to name and address, you can specify any data (preferably more -. Less plausible names such as "I", "sdlkf" or "1234" are not welcome). - The card is accepted by virtually all foreign online stores. + Check card balance, the provision of statements of operations, as well as advice for FREE! + If you wish to close the card (the service did not accept the card, it was not needed, there was a return to the card) - a refund of the balance of funds from the card minus 3% of the balance of funds on the card by transfer to WebMoney, Yandex.Money, Qiwi or your mobile phone. + The card supports additional protection for 3D-Secure. When making purchases on sites requiring verification 3D-Secure, the code is sent to the seller via SMS. To instantly receive the code, make sure that the seller with regard to you (from 8:00 to 19:00 Moscow time). Page requires a code with no cover. Most services do not require a 3D-Secure code.